Whether you are craving a mile-high meat-filled banh mi or a po' boy with a Texan twist, Houston has a sandwich shop for you. Here are the 8 best places to grab a sandwich in Houston. Like the name suggests, local ingredients remain key in these popular, generously stuffed, gourmet sandwiches. Bite into a banh mi with pork sourced from the local Black Hill Ranch or try the Gulf shrimp and crab on ciabatta with green goddess dressing. 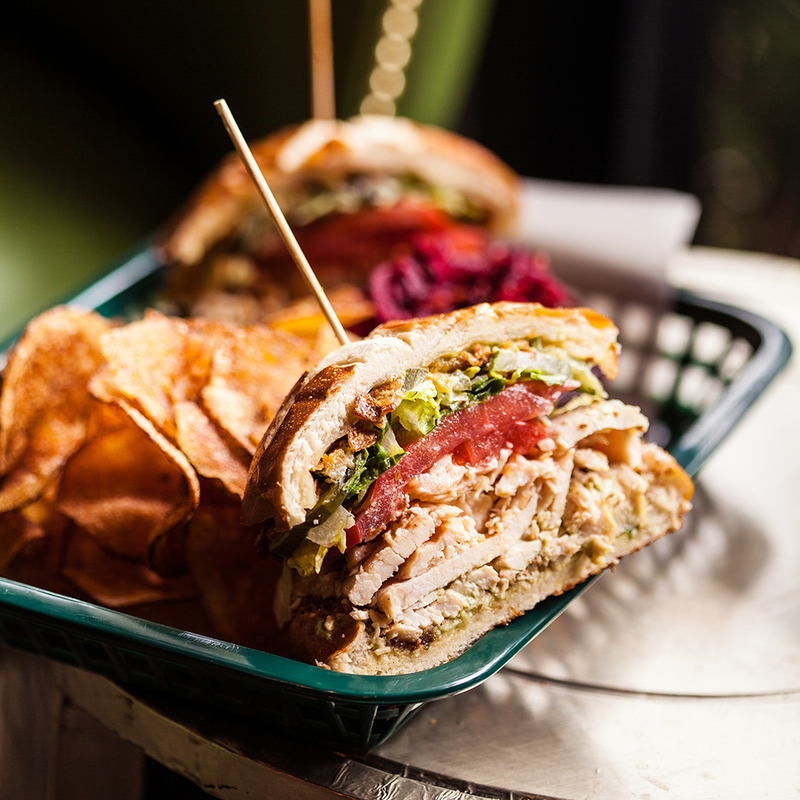 You can pair the sandwiches with a selection of Texas beers and wines. Don’t skip the potato chips. This Heights neighborhood market serves an open-faced breakfast sammie on harvest sourdough with two fried eggs, arugula, brown butter aioli, sliced tomatoes and at lunch a perfectly crispy fried chicken sandwich with avocado, chipotle crema all loaded on a buttery challah bun. 3. Carter & Cooley Co. In the highly-walkable Historic Heights, this old-school style corner deli serves the made to order classics like a piled-high Rueben, a honey ham with creamy brie, Texas beef slaw and a muffaletta on freshly baked bread that rivals what you might find in New Orleans. Just by the Galleria, this Jewish deli serves as close as to what you’ll get in New York City (complete with framed Playbills and Broadway posters). Try the overstuffed staple corned beef and pastrami sandwiches or the heaping 2 Meat Combo with house-cured corned beef, roast turkey and Swiss cheese. Go big or go home. Authentic Philly cheesesteaks are the name of the game at Pappa Geno’s. Order a number two with a plentiful dousing of meat and Cheez Whiz and, for extra guilt factor, the french fries with a rich brown gravy and a fountain soda. This homey, quaint Vietnamese lunch spot takes Banh mi to the next level. You can choose from the standard topping of pork, pickled vegetables and pate. Or go mix it up and try The Heart Throb with a double order of char pork or chicken, 2 eggs and 2 pieces of bacon. If you are a vegetarian, try the Gluttonous Ellis with silky tofu and veggies on a wheat French roll. Billed as Cajun food with a Texas twist, this café offers po' boy sandwiches loaded with roast beef and fried gulf oysters. For something with a little more Texan flare go for the South Texas Fire with beef topped with pepper jack cheese, avocado, peppers and onions. Obviously, both pair well with Maw Maws Gumbo with either chicken, shrimp or Andouille sausage. It’s all about the perfection steam bun combination on Upper Kirby. The bao known as the Crab Daddy is a meld of fried soft shell crab, Asian slaw and spicy mayo while the Yummy Byrd stacks fried chicken and a heavenly parmesan rosemary sauce in a fried bao.